The captivating coastal town of Makarska is located between the two major Croatian cities of Split and Dubrovnik. Its horseshoe-shaped bay is surrounded by the Biokovo Mountains and the Adriatic Sea. Overlooking a pretty harbour where there are many pleasure crafts moored, it’s palm-fringed promenade is dotted with many spots to drink, dine or indulge in some retail therapy. 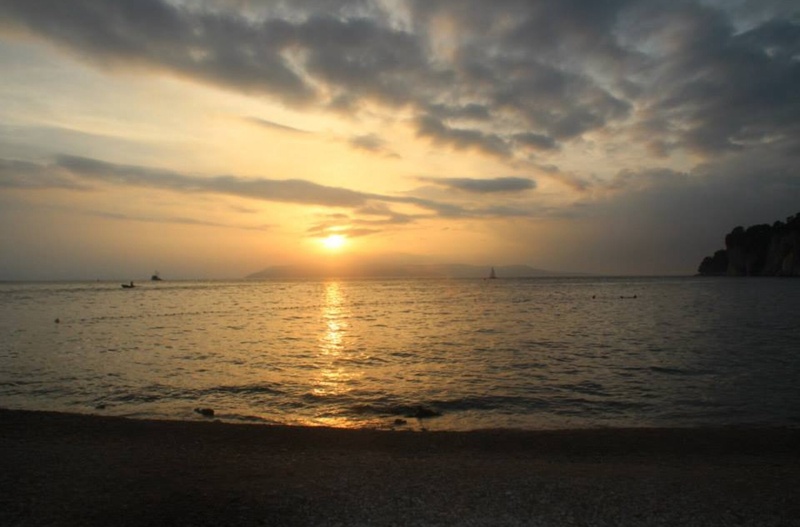 With a very laid back vibe, you could happily spend any amount of time in Makarska – a day, or a week or two. As I only had an evening, I chose to just stroll around town to soak up the atmosphere. As the mists started to roll in from the Biokovo Mountains I walked along the promenade, past the Hotel Osejava and the sea wall and discovered the Deep Makarska – a cafe/club in a cave right on the water (made a mental note to myself to return after dark!) Backtracking along the waterfront I passed the Aparthotel Miramare to the point where I sat and watched the children dive off the rocks as the sun set over the sea. 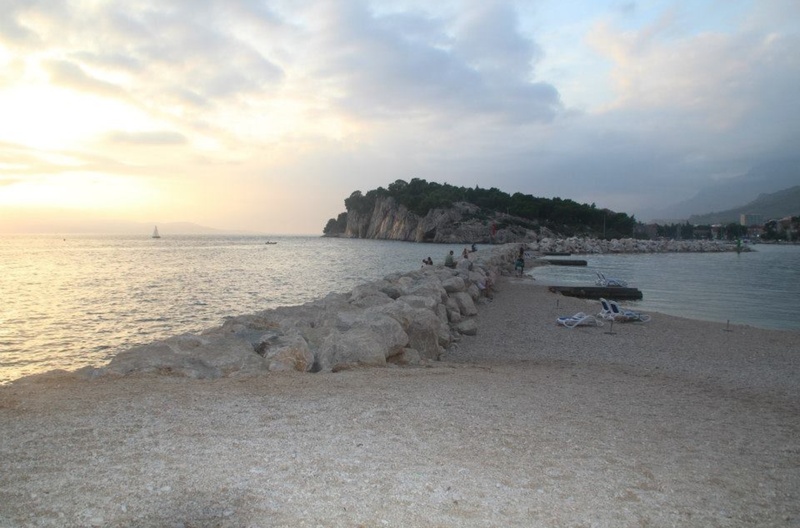 Makarska Beach and sea wall. There is a night market with dozens of stalls selling the usual trinkets and tourist souvenirs. With so many bars and cafés along the promenade it can be hard to decide where to stop. The caffe bar Zagreb is the perfect spot to indulge in some people watching and a couple of glasses of Ozujsko beer. All along the promenade I heard music coming from the other bars and restaurants, but rather than sounding like a jarring cacophony of sound it proved to be rather rhythmic and soothing. Over the top of the steady thump of the surrounding music, I heard what sounded very much like a Barbers Quartet harmonising. I was intrigued. After finishing my drink, I headed off to investigate and found myself in the Square in front of St Mark’s Church where a makeshift stage had been erected. Every table at the restaurants around the square was full, as well as the steps in front of the church. I grabbed a mandarin-flavoured ice cream, found a spot to lean against the wall and settled in to enjoy the free show. The sound of the cappella-style singing, the sight of the young children dancing uninhibited while their parents looked on, the atmosphere was charged. Thanks Florencia, pleased you like the blog!